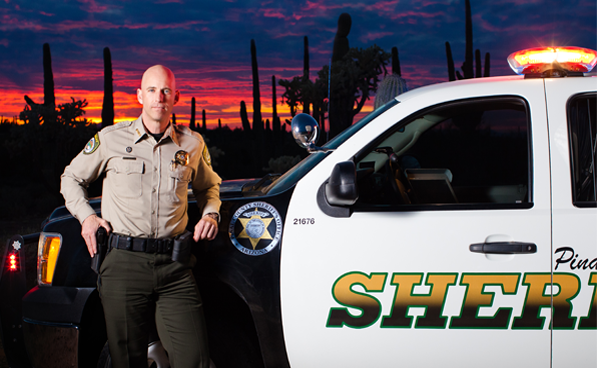 Arizona Pinal County Sheriff Paul Babeu who was forced to come out of the closet when a “former boyfriend” accused Babeu with “abuse of power” and filed a lawsuit against the popular Sheriff, recently withdrew his Republican Congressional bid due to the controversy surrounding the lawsuit, his “conduct” on social networks which was revealed and a severe drop in fundraising dollars and backers. In an article at GayStarNews titled “Arizona Sheriff Paul Babeu Says His Republican Party Needs Gays Like Him” Babeu said in a recent interview with Don Lemon of CNN, “To be truly inclusive, and not just say we’re inclusive and a big tent, we’ve got to show this.” he adds. “We’ve got to have other people in there with a voice.“.